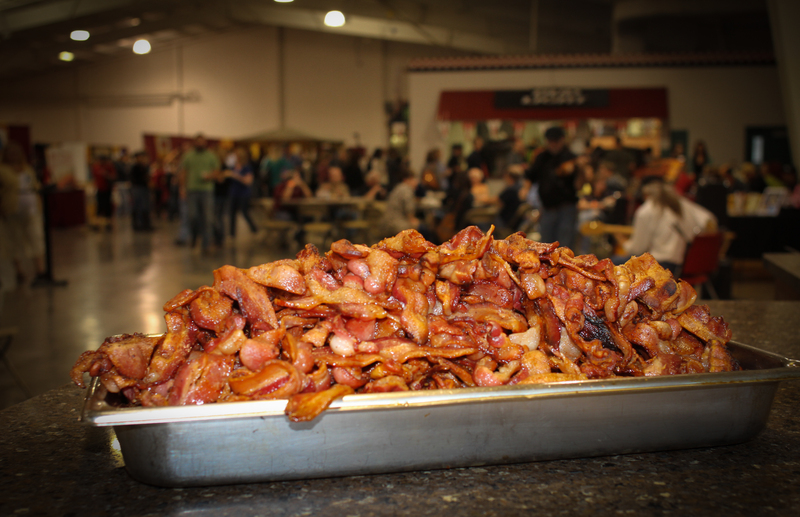 So you think you got what it takes to WIN the Farmland Bacon Eating Contest at Ozarks Bacon Fest? 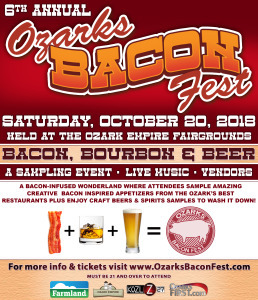 Its not as easy as you think…but the winner gets to wear the Crown of Ozarks Bacon Fest King or Queen, 10 pounds of awesome Farmland Bacon and 2 VIP tickets to the 2019 Ozarks Bacon Fest event and a spot at the 2019 table to defend their title. 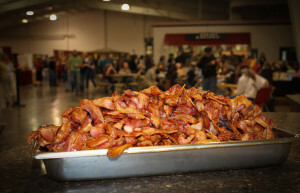 The Bacon Eating Contest is FREE to enter (you must purchase a ticket into Ozarks Bacon Fest to be eligible to compete). Starts at 12:30 in front of the stage. If you think you have what it takes be near the stage as we call for entrants. So excited for the bands at Ozarks Bacon Fest this year. Our music sponsor GigSalad never disappoints! 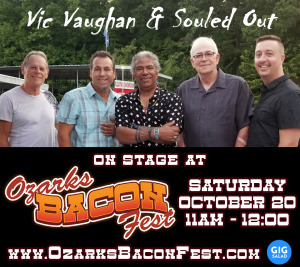 Vic Vaughan & Souled Out will open up the event and play for the VIP Hour taking the stage at 11am. Jake Stringer with Better than Nothin’ will take the stage at 1pm and play till 3pm. 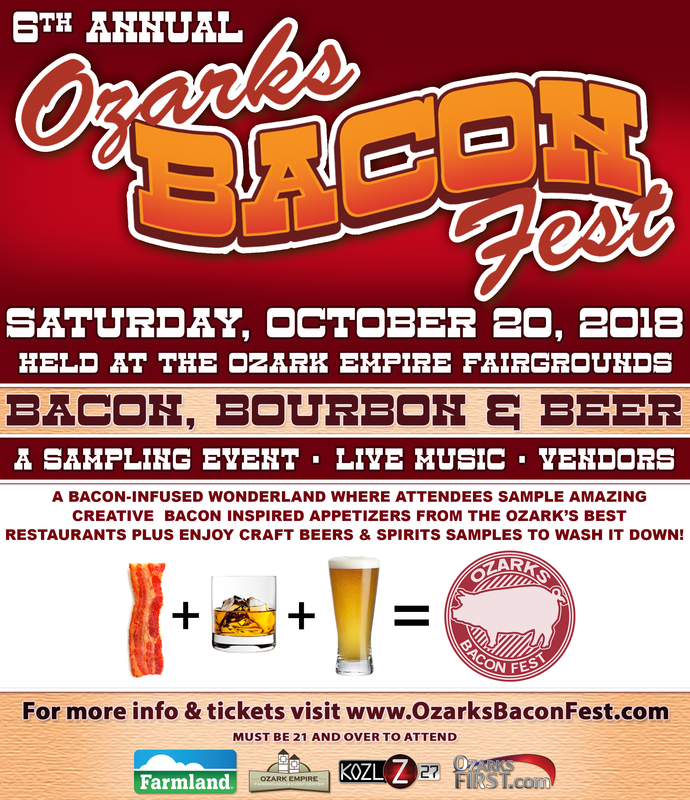 Ozarks Bacon Fest – a tribute to Bacon, Bourbon & Beer – holds its 6th Annual sampling event from 11am till 3pm on Saturday, October 20, 2018 at the Ozark Empire Fairgrounds. Guests will have access to a bacon-infused wonderland where the Ozark’s best chefs prepare amazing creative bacon snacks, great spirits and cocktails, beer, wine and live music and so much more! So mark your calendar and be ready to enjoy the best bacon in the Ozarks at the 6th Annual Ozarks Bacon Fest, Saturday October 20, 2018. 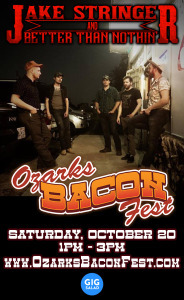 Ozarks Bacon Fest is a 21 and Over event.